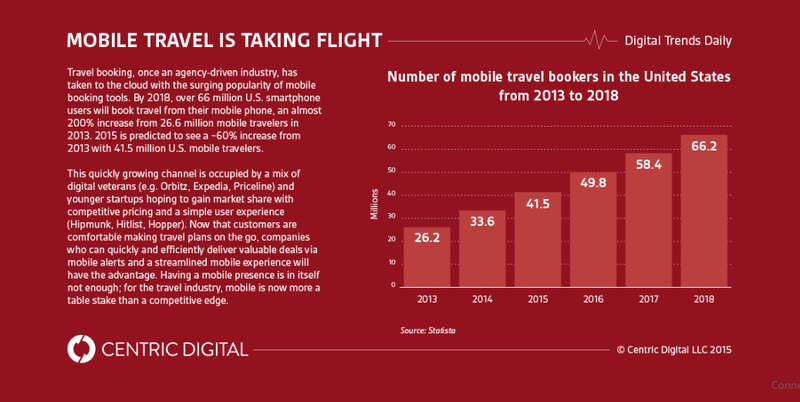 Digital Centric, digital transformation specialist, delivers key insight to mobile travel bookings. Now, the most successful travel companies are the ones who can personalize the user’s experience by filtering through hundreds of potential itineraries to recommend a smaller set that fits the customers destination, schedule, and budget. We all have different types of favorite music. And it's hard sometimes to find the right one that will suit everyone. Well Prizm found a way to solve your problem. This innovative startup created a device that will allow you to listen to the type of music you enjoy, and cross it with your friend's favorite music. 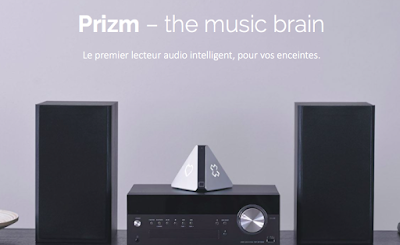 This device is music intelligent, it crosses everyone's favorite type of music to get the perfect one. If M. X likes Rock'n Roll and Ms. Y likes classical music, Prizm will find the best music for both of them. You don't need phone or computer anymore, all musical informations are stocked on soundcloud and deeper that are integrated to the device. It can be use in many different cases. If you are at a party, with family, cooking and even for hospitality. The device is linked to a bracelet that recorder all your preferences. If you give your music preferences to your booking the receptionist will take care of it, so at your check-in you'll receive your bracelet. When you'll enter the room not only you will listent to music but it will be your favorite. Hope you'll have the chance to use it, and enjoy it. Quelles sont les plus belles rues de Paris ou de Toulouse? Comment me rendre au Parisis en passant par les rues les plus typiques des environs. 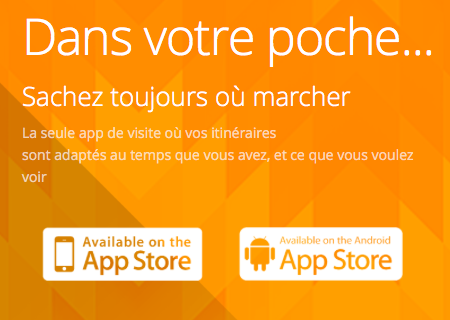 L'application Pretty Streets vous aide à faire cela. Simple à utiliser et disponible sur iPhone, Smartphone et montre connectée vous n'avez plus d'excuse! L'application prend en considération le temps que vous avez, vos centres d'intérêt et à partir de là, pretty streets vous donnent le plus beau chemin à prendre! The Start Up Garage is a very original approach to automotive industry innovation...identify start ups + co-develop industry transformational tech. 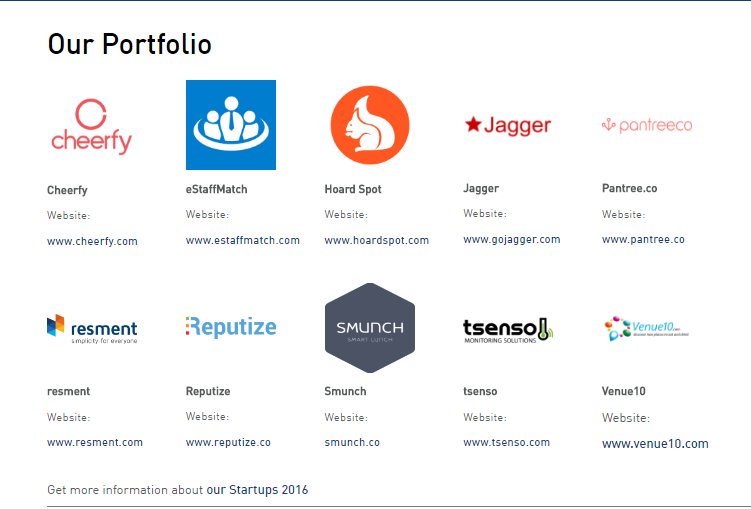 Start Ups applicants must meet some very high level criteria, including accelerator 'graduation' or initial funding. BMW as a co-developer + global business partner, they are looking for industry disruptors...BMW is a 'Venture Client', differs dramatically from investor. 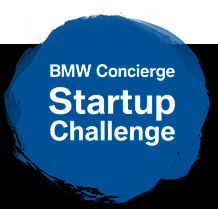 Not only industry tech innovation, BMW has created an innovative business model....an original 'recipe' of expertise, world class test vehicle, global distribution partnership + assurance of purchase for the refined product or service...oh, the start up gets to keep their IP. We can't wait to see what comes out of the Start Up Garage! Le General Hôtel est un hôtel situé non loin de république. Celui-ci offre un décor très moderne et propose, aujourd'hui, un service que l'on ne trouve pas fréquemment. L'hôtel équipe votre chambre d’un smartphone gratuitement pour rester connecté 24h/24, pendant votre séjour. En plus des offres avantageuses, en direct sur notre site, ce service vous permet de rester en contact avec les équipes de l'hôtel et de vivre Paris comme un vrai Parisien. Vous pouvez donc réserver votre prochain séjour au Général Hôtel ici. Google's new blog The Keyword is an uber-organization of all Google's diverse news, products + topics. 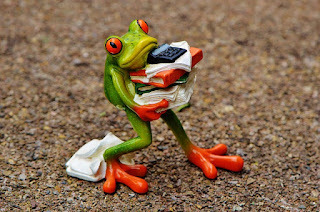 The Keyword is well designed to help users migrate to a single Google source - in the spirit of a Swiss Army Knife. So why should you care? Ultimately, this benefits all of us. 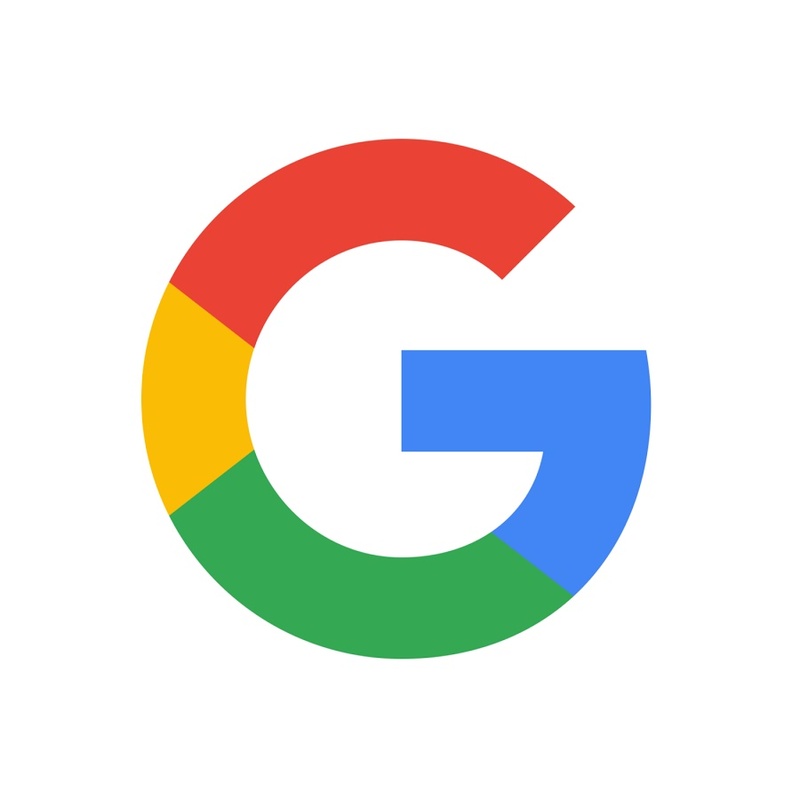 For readers, you now only have one resource to visit when you want to read all of Google’s news and releases. Don’t worry, you won’t have to replace all of your bookmarks either. Old bookmarks and feeds automatically redirect to The Keyword. In addition to go-and-search, The Keyboard has multiple delivery options to the platform of your choice. Well done Google The Keyword Team! Voici une nouvelle vue de Paris. L'organisme My Little Paris à réalisé une vidéo forte en sensations qui nous fait voyager sur les toits de Paris. Durant ces 1min et 45secs vous allez découvrir la vue parisienne à partir des toits haussmannien qui représentent si bien la ville lumière. On vous laisse visionner, n'hésitez pas à nous dire ce que vous en pensez. One more reason that hotels need a mobile focus site PLUS Responsive main site...Google indexes mobile content first. "Google's shift toward mobile-first indexing, which the company hinted at last year, will finally come to fruition. The search engine historically crawled sites and pages across the Web and then determined the relationship between the content and mobile devices before ranking pages based on the desktop version, according to one report. Now the company will index mobile content first and desktop second, making the mobile index the primary index." What does this mean for Independent Hotels? A responsive main site is suited for Desktop + tablets...but needs to be augmented with a Mobile USER friendly site. For those of you who are tech oriented, there is an excellent rundown for Mobile Design + Optimization on Moz. F&B, Hospitality innovation in digital times, success is fueled by external support - MetroTechstars is a powerhouse for start ups. "The METRO Accelerator powered by Techstars is a highly selective mentorship program for digital and technology startups across the entire value chain of hospitality and food tech." Large companies frequently innovate via in-house initiatives BUT breakthrough concepts can come from individuals (think Facebook’s start) or small start ups. Accelerators invest funds, expertise and peripheral support, such as legal, accounting to get platforms, programs, tools into the user marketplace - at the speed of digital. MetroTechstars selects 10 start ups projected to change F&B hospitality performance. Cheerfy - combines an app for customers’ wearable with preference data and recognizes that customer via geo-fencing. Smunch - ‘smart team lunch’ platform combines healthy meals, delivered as a group order from a different participating restaurant each day. 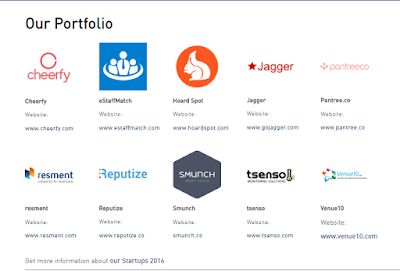 Smart startups solve problems, create win-win-win opportunities. 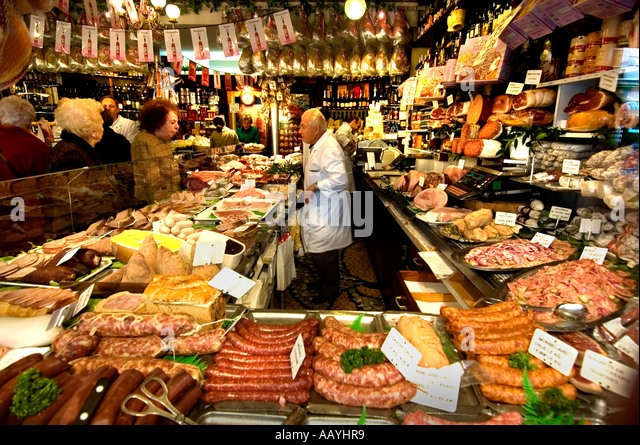 Accelerate your F&B, Restaurant, hospitality tech perspectives at MetroTechstars Blog. Hospitality-Next, dedicated to industry innovation, will explore some of the exciting innovations designed by these startups. There are many ways nowadays to create new images and make them special. We have already talked about Notegraphy that can be used to optimize an image illustrated by a picture. Desygner is different and can be used in so many ways to improve your images! This platform is really easy to use, and a lot of different template are available to make your work different than the other. You can work on Desygner from your computer or even your phone, and it won't make it harder. So don't wait it is available on the App Store and Google Play. As Hotels and accommodation providers design + create to win the coveted millennial market, those of us who want the same features win too! As a maxi-millennial (read - boomer), I seek the same services + ambiance that millennials look for in hotels and alternative accommodations. Thank you millennials - hotels have broken free from 'standardization' of experiences - it is much more fun. 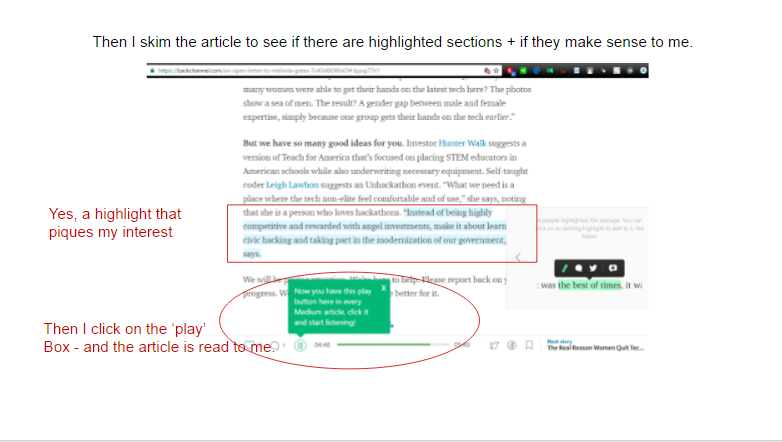 Medium is so smart + makes me smarter ... great new feature, the articles can be read aloud to me!! Now more well read means listening! 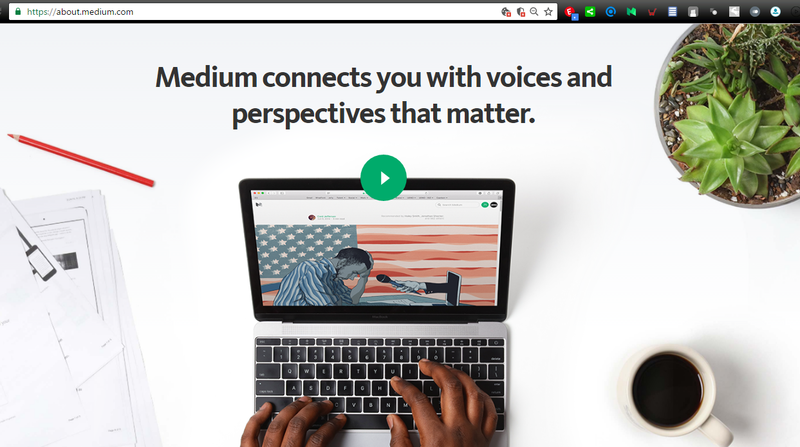 So, travel on over to Medium - cut the web noise - gain new perspectives...or share yours! 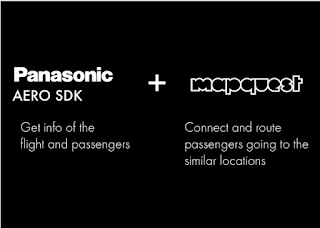 MarriottTestBED unique programme to accelerate tech startups that enhance the travel experience. 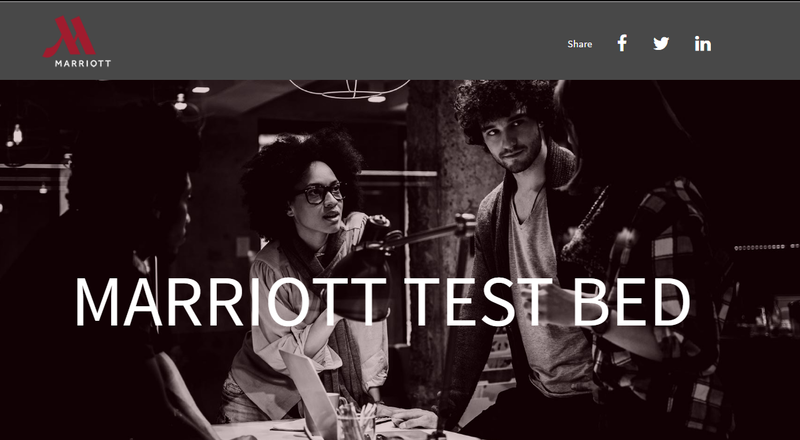 If you are a startup with great concept to improve travel experiences, Marriott Hotel Europe could be a power partner. 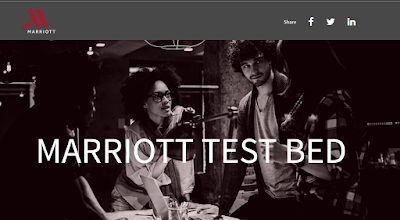 Ever innovative, Marriott Hotels Europe seeks innovation from the outside. Their accelerator programme invites startups dedicated to enhancing the travel experience to submit their early stage project. Hurry - Start Up submissions close 16/10/2016. Mobile marketers and developers will value Mobiforge's analysis of Comscore's recent report. For all of us trying to decide - Mobile site or mobile app, the information is most helpful. The chart below from the Comscore report clearly shows the growth opportunity. We’ve seen a lot of movement in the mobile web arena over the last year in the shape ofProgressive Web Apps, and the AMP initiative that bears out the importance of the web as the gateway to further engagement without the same limitations as an app store presents. Outside of the app oligarchs, the discovery battle may ultimately be won on the web. 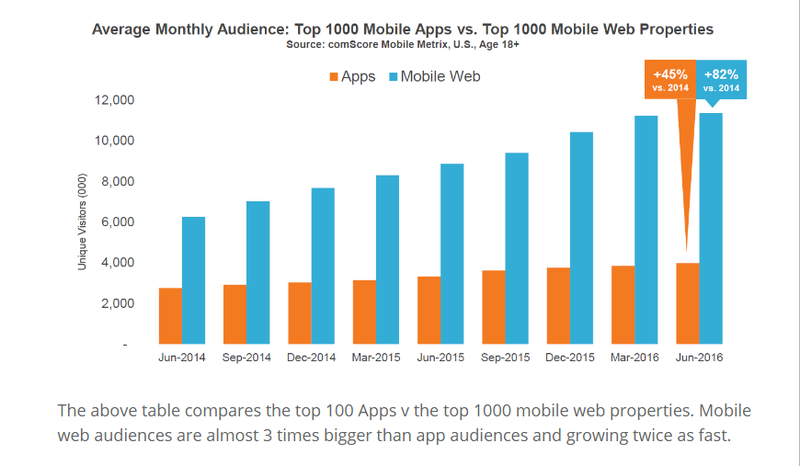 An excellent, concise analysis - read Martin Clancy's article "Mobile Audience Growth Web Not Apps"
Today's marketing calls for multidimensional skills, which makes the field both exciting and daunting! This infographic created by @uberflip - published by @unbounce breaks it down. Thanks for the code Unbounce, which makes it easy to share here. Lots of qualities, instinctively imaginative + oh so curious...makes 'marketers' a special breed. Agree - "Modern day Renaissance (wo)men, if you will." I am a big fan of Unbounce and Uberflip - they share learning generously. Thumb through the graphic on your mobile. 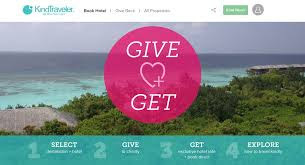 KindTraveler - A Winning Combination - Hotel Deals for Guests' donating to their favorite charities. This is definitely innovative - 'Do More Than Travel' slogan - says it all!! Charities-worthy causes win via donations that are basically micro-fundraising. Further, Hotel get to show their eco-efforts. The Kind Stories blog-mag is a worthy read too!! The concept is the brainchild of founders Jessica Blotter and Sean Krejci - and their inspiration story is told in this terrific Conde Nast article. Further, Hotel get to show their eco-efforts. The Kinder Stories blog-mag is a worthy read too!! Lots of common sense advice for making the most of you time. 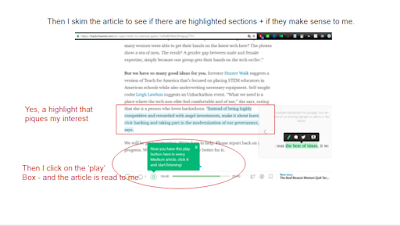 Collect as you go - an idea libary with links and a few comments works for me. Read the full Rock Your Mobile Campaign Tips post! Hotel Direct Booking Summit presented chatbot insights by Tom Ollerton of We Are Social. TripTease organized the event in London and definitely illuminated the near future of hotel bookings...and guest multilingual service conversations. Video - Chatting about Chabots - is well worth the 18 minutes spent viewing. While early days, Mobile - and subsequently bookings within Facebook Messenger/What's App/WeChat - is not a fad. A number of major travel players and hotel companies have launched 'conversation bots' that engage + transact. Chatbots should make bookings - faster, better or cheaper. Again early days and issues + payment ease are being worked out by industry leaders. The full article from TripTease Chatting about Chatbots. Bottom line - social eco-system will be the booking environment for travellers. Get ready now. "Take a moment to think back to how you got information before smartphones existed. You probably printed directions before a road trip (or relied on a paper map you already had). Maybe you looked up movie times in the newspaper. Maybe you called a store to check its hours (or just took your chances and showed up, hoping to see the "open" sign)." 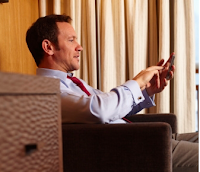 This article explains in 3 points the importance of mobile in today's marketing. Mobile must be included in our day to day business, including the behavior of consumerson their mobile. Recently refreshed, creating an urban social ambiance, Hotel Le General Paris organizes special events designed to delight. October 5 is a first Master Class with Paris' Carl MARLETTI. 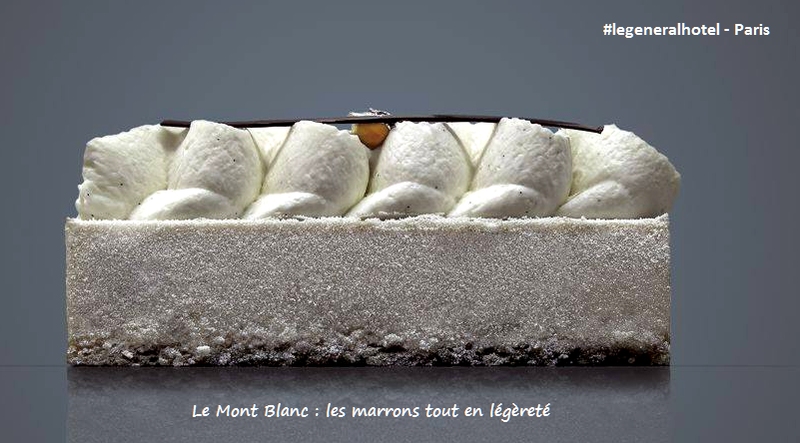 A true Art de Vivre experience - join in at Le General Hotel Paris Republique. 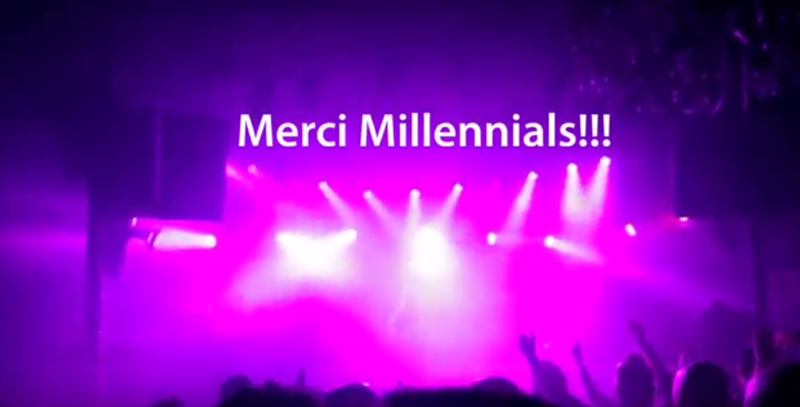 Nous passons tous beaucoup de temps sur Youtube, à écouter les vieilles musiques de notre enfance ou alors seulement à regarder des reportages. Mais pour cela, il vous faut rester en ligne sur Youtube afin de regarder et d'écouter la vidéo en entier. Voila une solution simple et pratique de regarder vos vidéos et d'écouter vos musiques dans le métro, sans réseau. 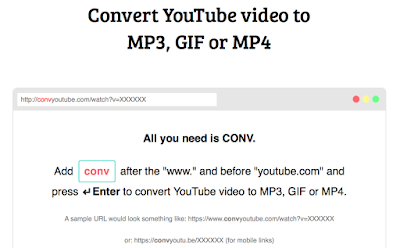 Pour cela il vous faudra utiliser ConvYoutube qui est très facile à utiliser et vous permet de télécharger vos vidéos youtube, ou seulement la piste son. Il est également possible de convertir des extrais de vidéos en Gif. N'hésitez donc pas à l'utiliser pour télécharger vos musiques, sketches d'humoristes préférés ou documentaires sur les oiseaux de la forêt Amazonienne. Le 12 septembre 2016 Marionnaud annonça le lancement d'une toute nouvelle application mobile proposant de nouveaux services. Le directeur marketing cite "Un pas de plus vers le "mobile first" ? "Tout à fait. Le mobile est aujourd'hui l'instrument par essence de la relation personnalisée et notre application est une solution qui intègre Marionnaud au cœur du mobile". 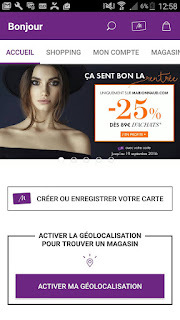 Cela démontre l'importance qu'a le mobile dans le marketing aujourd’hui. Cette application a été conçus pour être complètement thumbable. 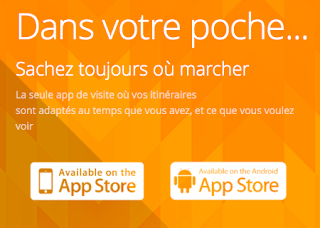 Vurb l'application qui sectionne les activités autour de vous! Cette application vous permet de sélectionner les différents centres d'intérêts dans votre zone géographique afin de vous constituer une liste d'activités. L'application est très facile à utiliser et vous pouvez vous inscrire directement grâce à Facebook. Elle est disponible sur Android et IOS. Vurb est très facile à utiliser et vous permet de faciliter vos sorties. A partir de cette application, vous pouvez effectuer une réservation pour l'un des restaurants sélectionnés, géolocaliser le lieux directement avec votre GPS, et enfin il est meme possible de commander un Uber pour vous emmener à votre activité. Toutes les activités autour de vous, qu'il agisse d'un restaurant, d'un musée, d'une bibliothèque, un théâtre ou une salle de concert. Vous pouvez donc créer votre propre liste d'endroits où vous souhaitez aller, et également créer une liste de vos activités préférées. Il est également possible de partager vos plans avec vos amis grâce à Vurb Chat. Cela vous permet de mieux organiser vos soirées ou après-midis car vous pouvez partager toutes les informations concernant le lieu et ce qui est proposé. N'hésitez pas à créer vos listes au plus vite, afin d'être au courant des nouveautés de votre région, comme pour l'hôtel le Parisis. Vurb a été créé pour les mobiles, ce qui fait de cette application un outil tout a fait thumbable. 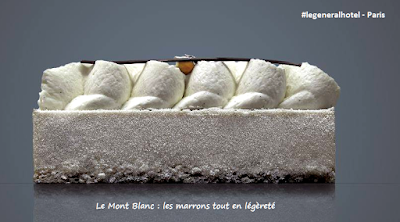 Hotel Le Littre Paris Montparnasse publishes a super guide online - Le Plume du Littre. Readers can enjoy tips + insider info about Montparnasse neighborhood - within steps of the hotel's location. Visitors to the Hotel Le Littre guide have many recommendations for exploration in this historic and artistic area. Fabulous Artists lived and worked in the quartier... among them Cocteau, Modigliani, Apollinaire, Gauguin, Matisse, le Douanier Rousseau. Visits to their studios and haunts such as Cafe Le Dome Or Le Coupole inspire creativity. 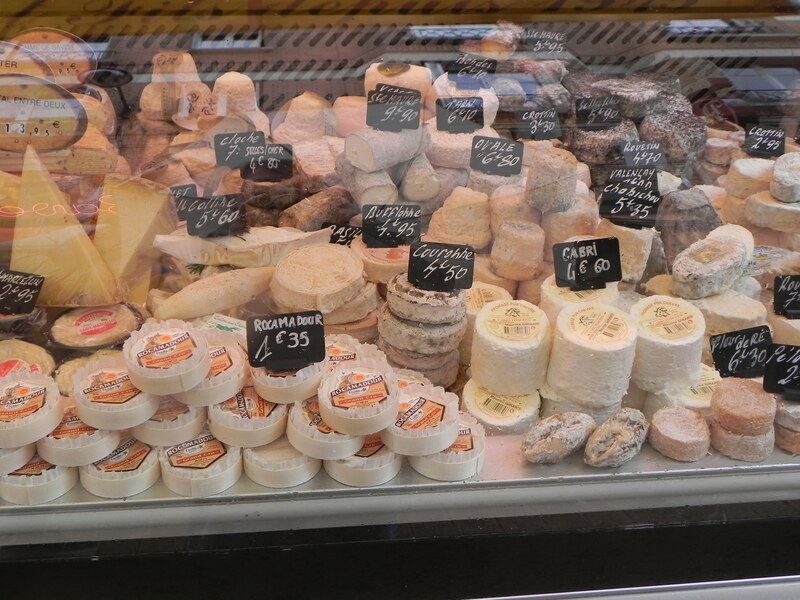 A favorite stroll is Rue DaGuerre, a pedestrian street market loaded with cafes, bakeries and unique boutiques is a flash back in time - Paris neighborhood experience. Hotel Le Littre is so central to many authentic Paris neighborhoods - La Plume online is a great starting point to plan your explorations. Last Mile Club a #techcrunchdisrupt hackathon winner is a well deserved genius idea. View Last Mile Club's excellent slide show....you can see why this concept makes so much sense!! 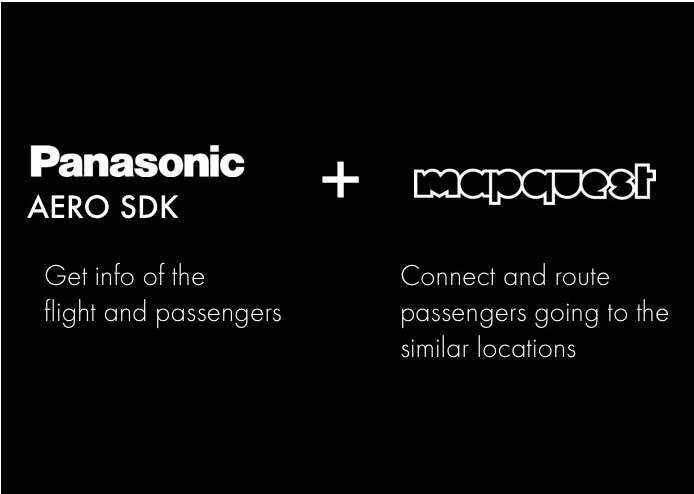 Last Mile Club, however, is designed to be integrated into the airline’s Android-based in-flight entertainment system. Full TechCrunch article - Last Mile Club helps Find Fellow Passengers that Want to Split a Cab. Be sure to watch the video presentation! !